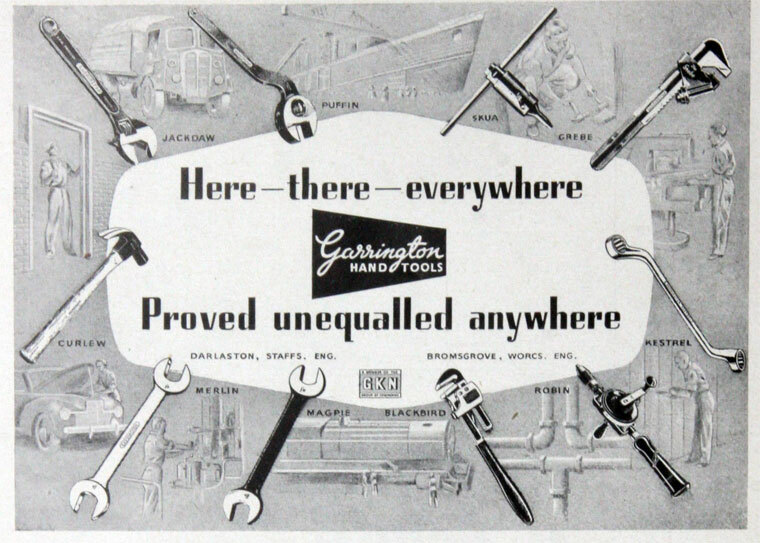 Garrington or Garringtons - often mistaken for Carrington - was a British manufacturer who, as part of their massive forging business, made a wide variety of tools that were sold worldwide. They're usually able to be found on eBay UK, eBay US, eBay AU, eBay IE. Here's what information we have on their business. 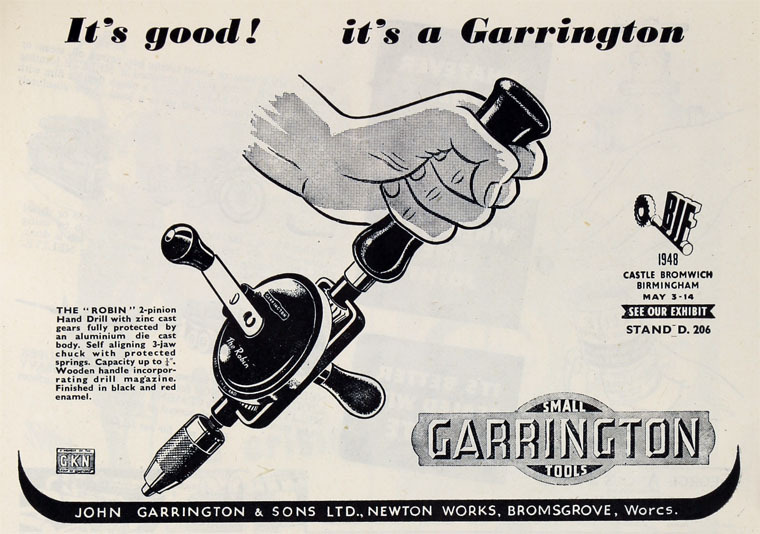 Grace's Guide states that Garrington was founded as a company in 1837, where elsewhere it was reported that John Garrington started forging components in Britain in 1830 at Phoenix Works in Catherine's Cross. 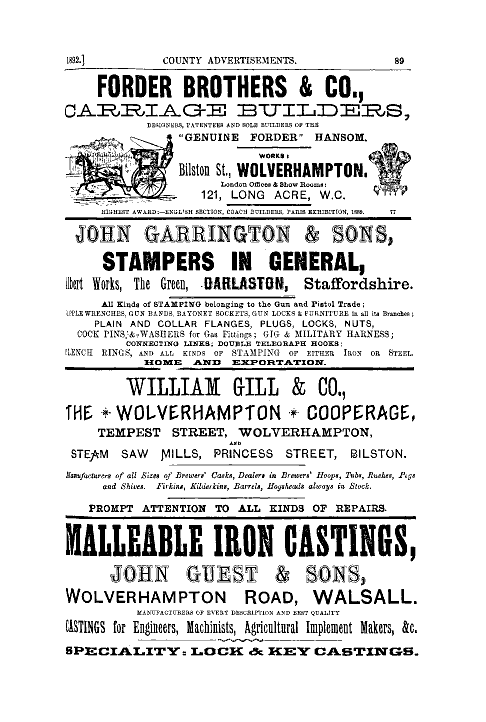 In 1879 the business moved to Albert Works in Willenhall Road. 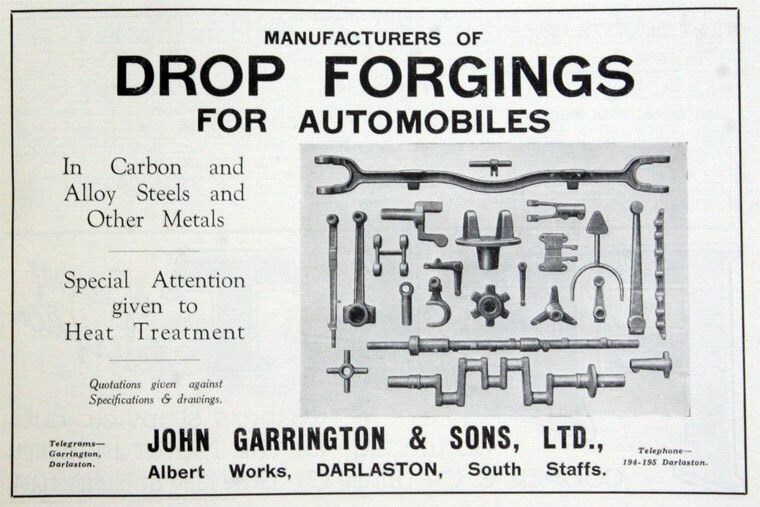 The ad also mentions that they are the largest drop forging plant in Europe. 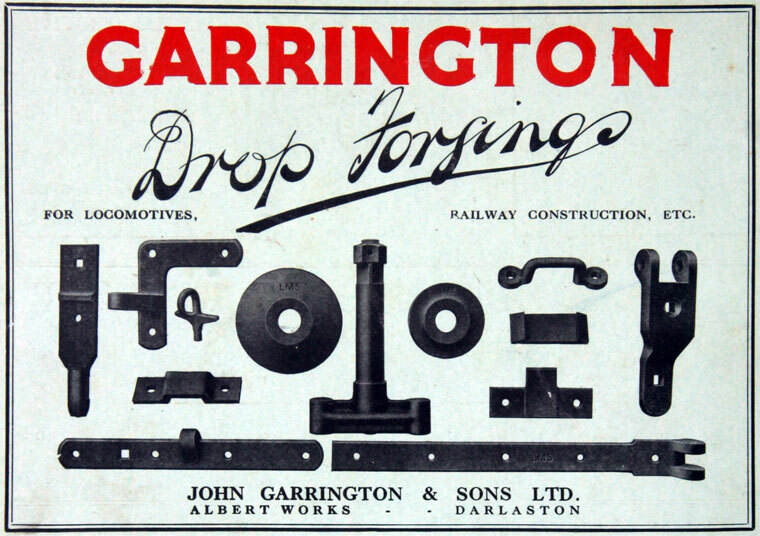 In 1946 they acquired an additional works at Bromsgrove - whether or not that was included in the above statement may depend on which date is correct! 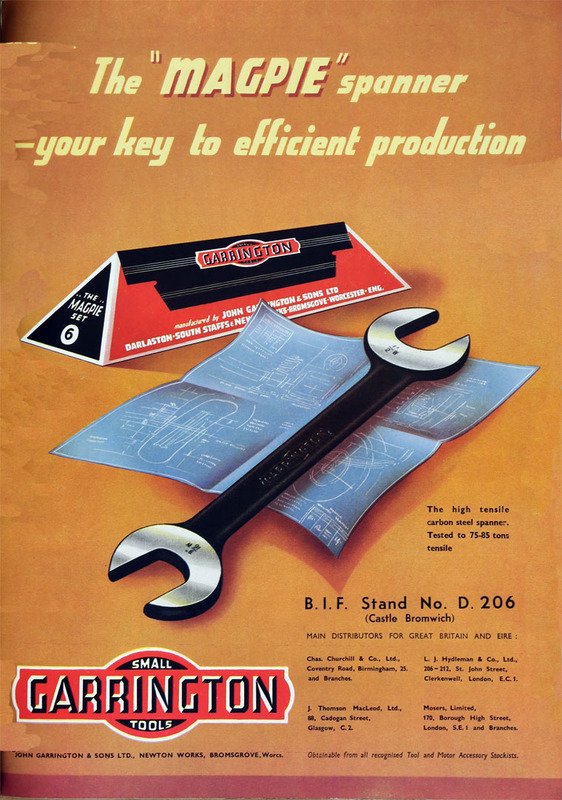 As a side note, if you own a Jaguar you might also find their tools in your tool kit. 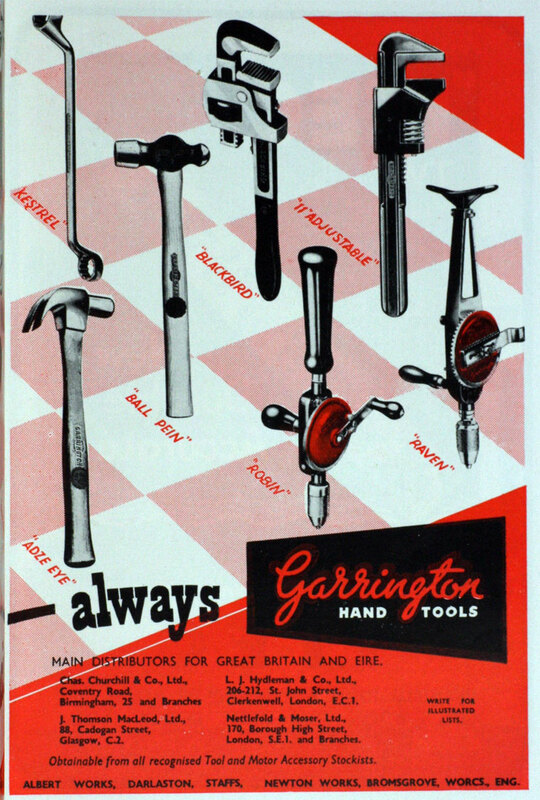 Garrington hand tools came in both BSW/Whitworth and AF/Imperial - and even some in metric later on. 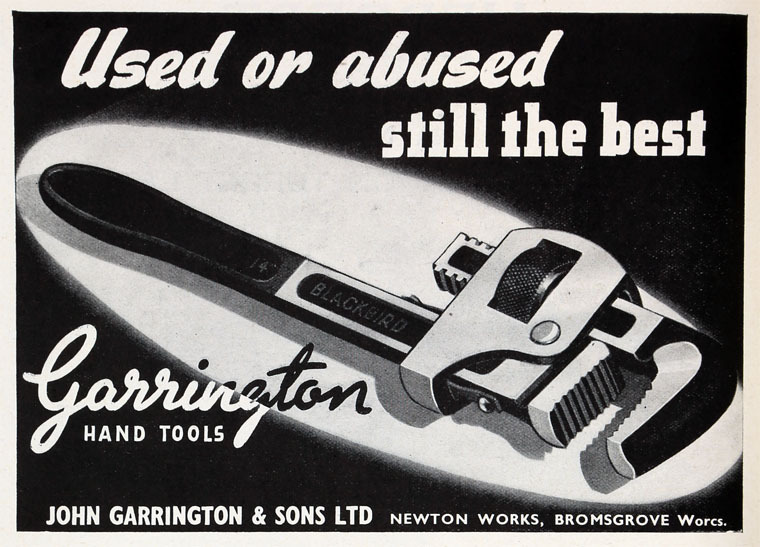 Incidentally, the 1946-acquired Bromsgrove works was the last to close in 2002, where the other works closed supposedly during the recession of the 1970s and 1980s. 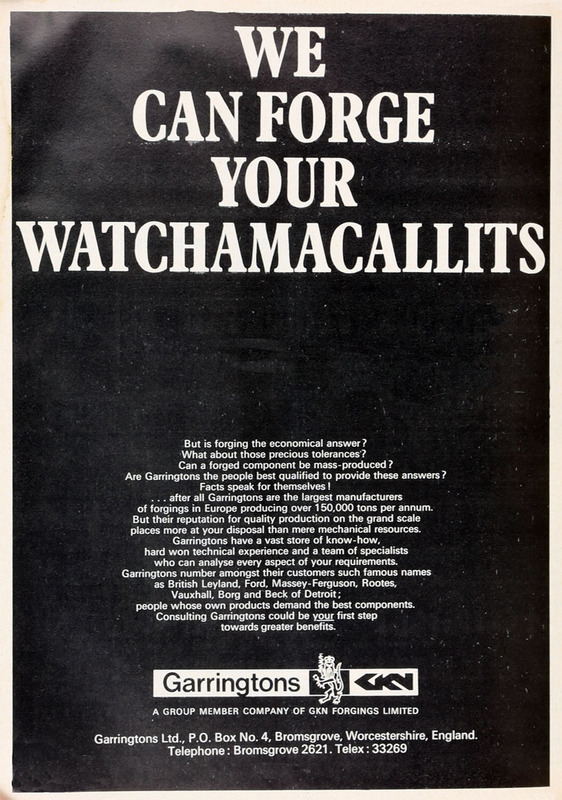 It also mentions that they were forging over 150,000 tonnes per annum. 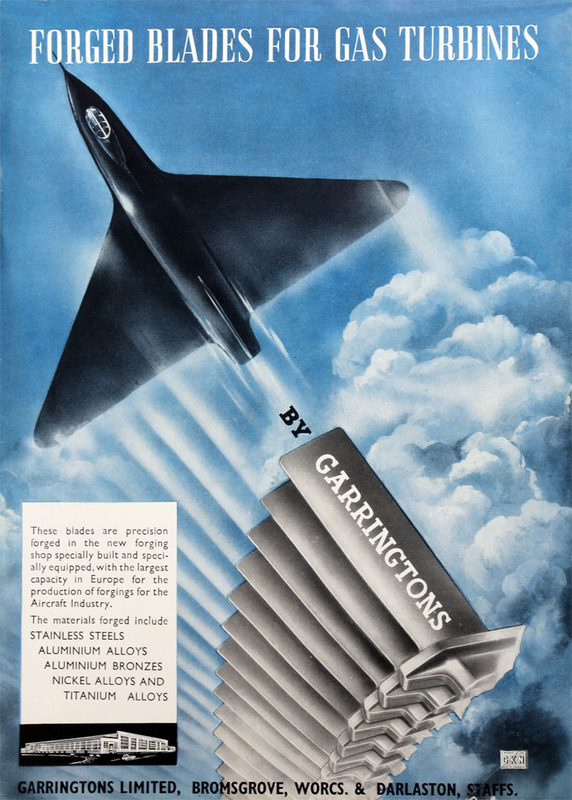 Where did the company go between 1969 and their eventual closure? 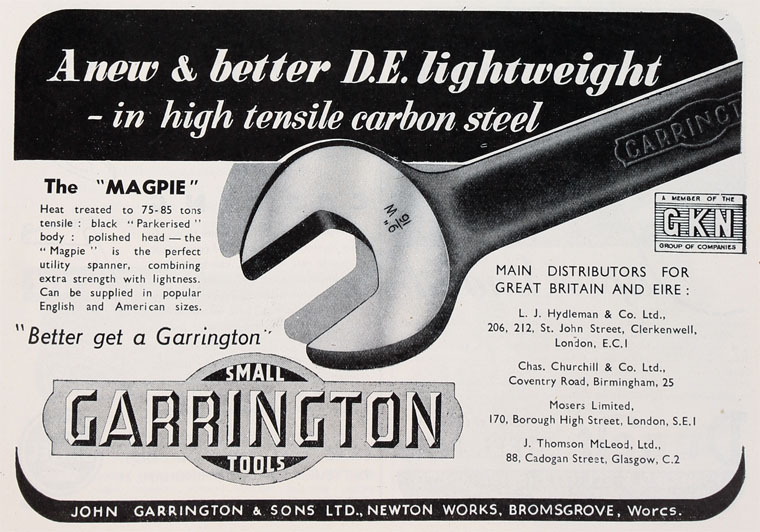 At this point I don't know enough about the economy of Britain/the world at that point to make an educated guess, but I'm happy to hear from anyone who knows more detail about the company. 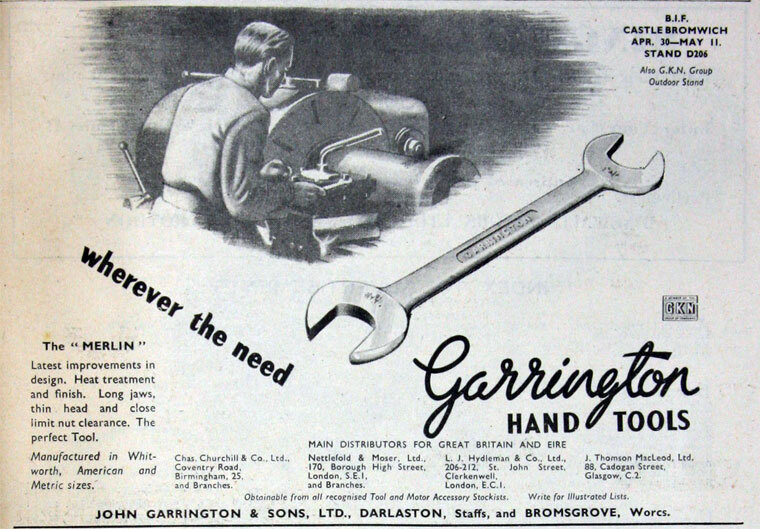 If you haven't already, check out the selection of Garrington tools on the various auction sites - eBay UK, eBay US, eBay AU, eBay IE. 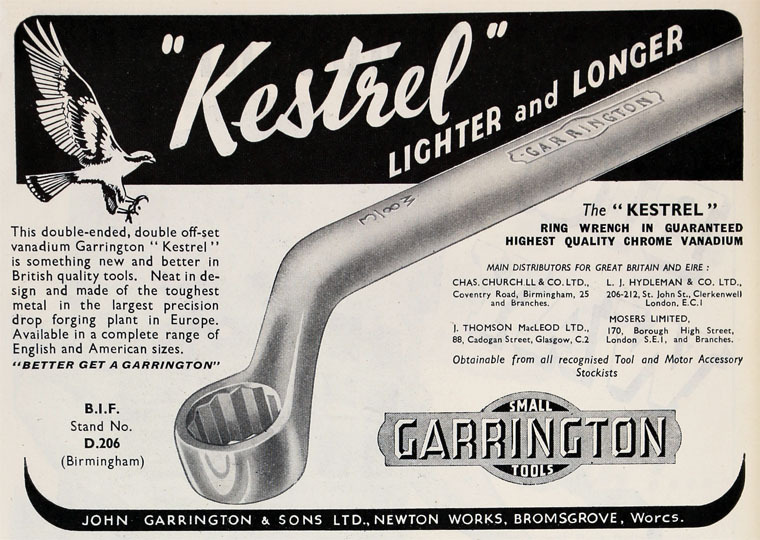 I also have some photos of the Kestrel spanners up here. 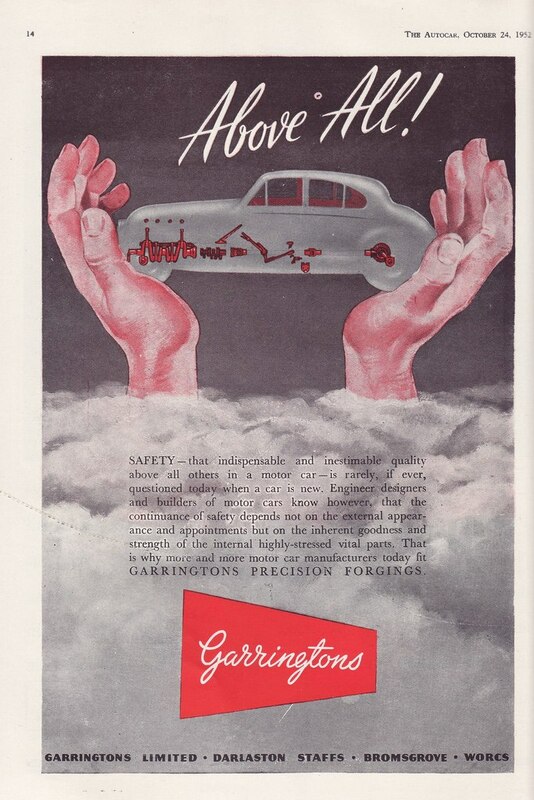 Advertisements sourced from Grace's Guide and elsewhere online.